Munchu means a descendant group of patrilineal people who share a common ancestor. 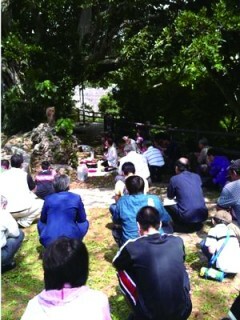 People of Okinawa share a culture that values ancestors very much. This system of beliefs started with the development of a warrior class in the society sometime during the 17th century. The most visible symbol of the clan are the large graves where all members are interned.